My family and I spend a lot of time on the go. We also like to camp and go on frequent road trips. So I thought I had all the best gear out there. But I was wrong. 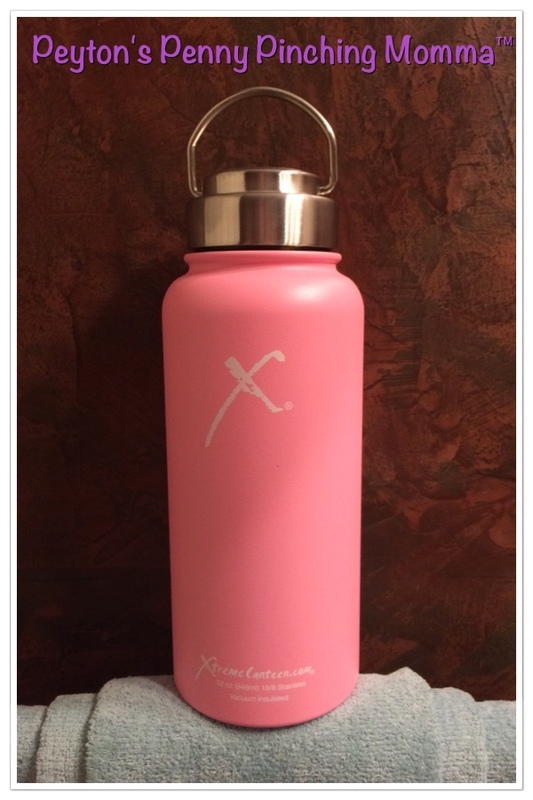 The Xtreme Canteen in unlike any of our water bottles we currently have. This is huge! It’s a full 32 ounces and it does not sweat. The little handle on top makes it convenient to carry or clip on to your backpack with a carabiner. The second I unwrapped this beautiful canteen I fell in love. Now I have been using it for just over a week and I have found it to be very helpful. I can clip this to my bag or carry it by the handle. I can fill it with water and it’ll stay cold all day long (up to 24 hours according to the packaging). And with 32 ounces that really helps me stay on track. Just 3 of these a day and I have easily met my water intake goal. And it floats! So if you drop this in the lake or river it’ll stay on the surface making it easy to retrieve. I cannot wait to take the Xtreme Canteen camping with us next summer. It’s going to be a must have piece of camping gear for our family. I already have it on my wish list to purchase another one so my daughter can have her own when we hike. We will be able to carry enough fresh water for a long hike and it’ll stay cool. Plus I can clip them on our packs so our hands can stay free. The Xtreme Canteen is made of 18/8 stainless steel and is completely recyclable. There is also a lifetime warranty so if something were to happen they have you covered. The canteen is BPA free and holds 32 ounces of liquids, keeping them cool for up to 24 hours or hot for 12 hours. If you are an outdoor enthusiast, camping or someone who likes to have a water bottle with them at all times you really need to check this out. You can purchase your own Xtreme Canteen on Amazon, it’s available in 6 lovely colors.